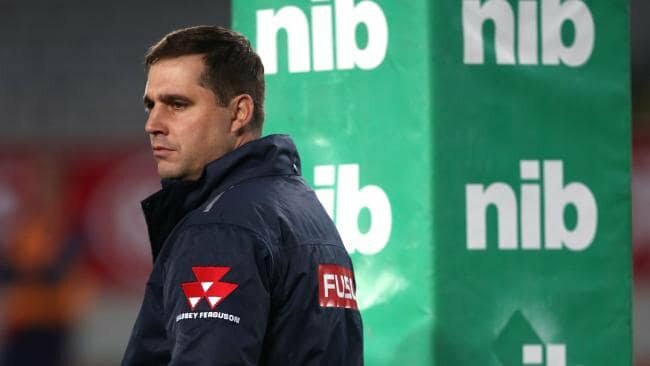 Super Rugby's Melbourne Rebels Thursday threw their support behind South African-born coach Dave Wessels by extending his contract for two years, saying he had transformed the club. The 35-year-old has agreed to remain head coach until at least the end of 2021 and build on last season's ninth place in the 15-team southern hemisphere competition. "The transformation of this club into a genuine high-performance rugby programme during Dave's tenure is nothing short of remarkable," said Rebels chief executive Baden Stephenson. The Rebels performance last season was a vast improvement from a year earlier when they claimed the wooden spoon under predecessor Tony McGahan. "I really believe we can be successful here. The city is sports mad and provides an unbelievable environment for anyone lucky enough to work in sport," said Wessels. "We've made some good progress but there is still so much to be done." The Rebels kick-off their 2019 season on February 15 against the ACT Brumbies.